So, I took my U-Haul to Alycia’s house…. 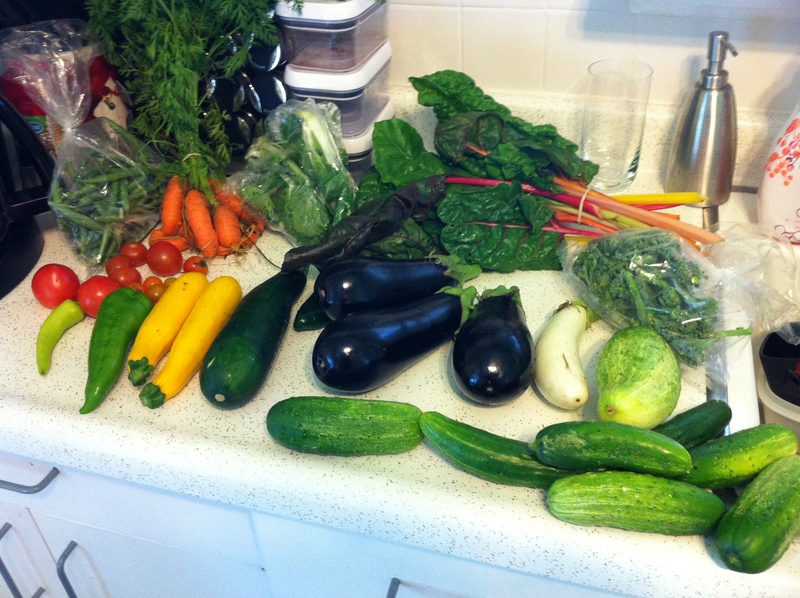 This week’s pick-up included Swiss chard, bok choy, peas, green beans, broccoli, eggplant, white eggplant, golden zucchini, regular zucchini, really ugly carrots, three kinds of peppers, cucumbers, and tomatoes. Here is my half. Half! This entry was posted in CSA and tagged broccoli, carrots, cucumbers, eggplant, golden zucchini, green beans, peas, peppers, Swiss chard, tomatoes, white eggplant, zucchini on July 14, 2011 by Elyse. Wow! That is so much! 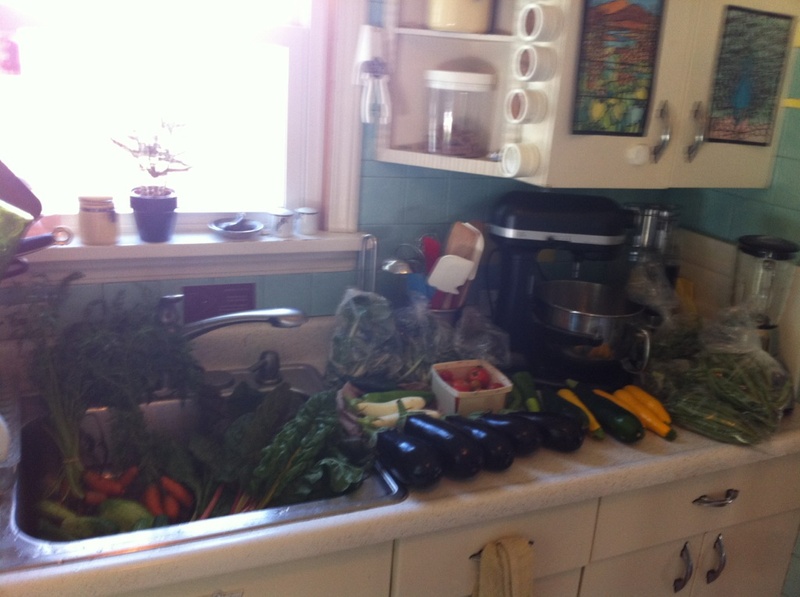 I can now understand more fully Alycia’s post on how she organizes and preps her vegetables! There was a good looking recipe in the Akron Beacon Journal this week for a stir fry with bok choy and shrimp if you want it before recycling day!